A rare opportunity to rehearse and learn with one of Australia’s most awarded barbershop choruses is coming in July! 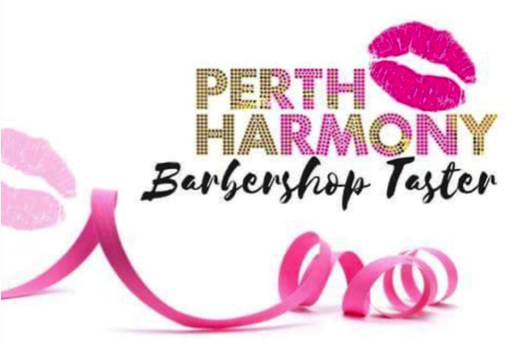 For six Wednesday evenings from 18th July, Perth Harmony, an amazing Perth-based women’s singing group, is opening its doors to newcomers. We are offering this exciting opportunity to women in Perth who are interested in singing in a group. No previous musical experience is required, just a willingness to try new things and a love of singing. The program will enable women of all ages to take part in an immersive experience with the chorus to enjoy the fun, education and camaraderie of the barbershop style of singing. The program is designed to give participants a unique experience as they learn to sing 4 part a cappella harmony with the full chorus at their weekly rehearsals. They will meet chorus leaders and members, learning vocal production and barbershop skills along the way. See our Facebook page for more info.